Ive been planning so many updates, really I have. I just havent had time to write them. Today is the last day at Ballymaloe Cookery School for me and while half of me is completely heartbroken to be leaving this beautiful part of the world and all the lovely people I have met here, the other part is dying to be finished with these exams - 3 written ones today! I promise to update next week when I will be hanging around the area with far less homework to do (but some work to do all the same - more on that later). For now I hope you can keep yourself amused with some of the pictures I have taken over these past amazing 12 weeks. 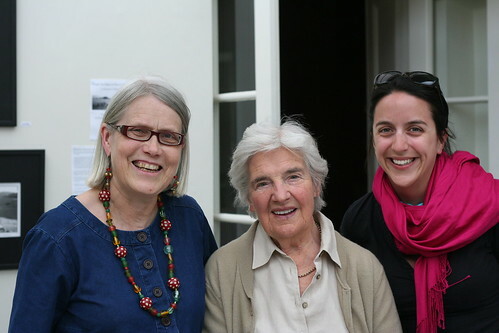 I've really enjoyed reading your blog about your time at the Ballymaloe Cookery School. It sounds like they kept you very busy! I'm especially looking forward to your next post where I hope you will tell us how you did in your exams, how you feel now that you have completed the course, how you feel the course has prepared you for the world of food and what you hope to do next. Thanks Gail and Stephen, I do promise to post at least 2 more blog posts on the course over the next week or two but if you have any questions on the course just drop me an email or leave a comment with them and Ill try to answer. As New Person to blogs, have just come across yours and have really enjoyed your...posts(? ).